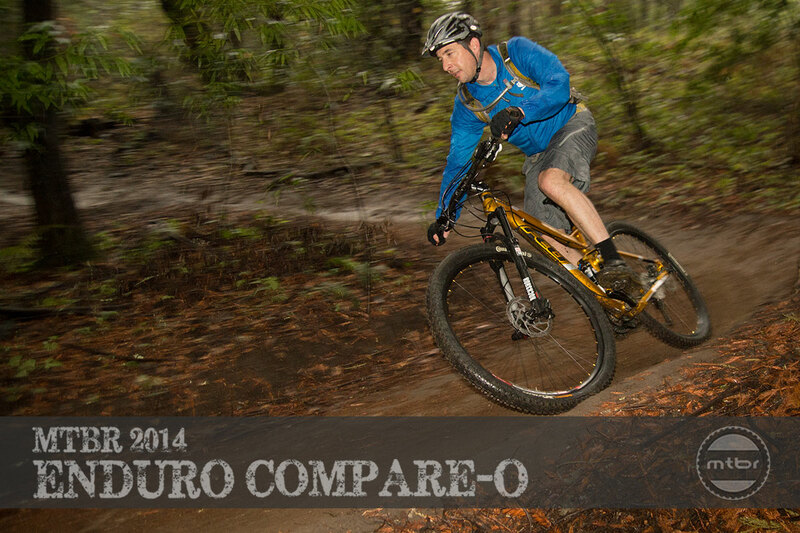 When compared with some of the high-dollar superbikes in our Enduro Compare-O, the $3,800 Felt Virtue Nine 20 is by its very nature at a disadvantage. But rather than looking at what a $10K bike does better, we’re going to use the Virtue to prove a couple points. 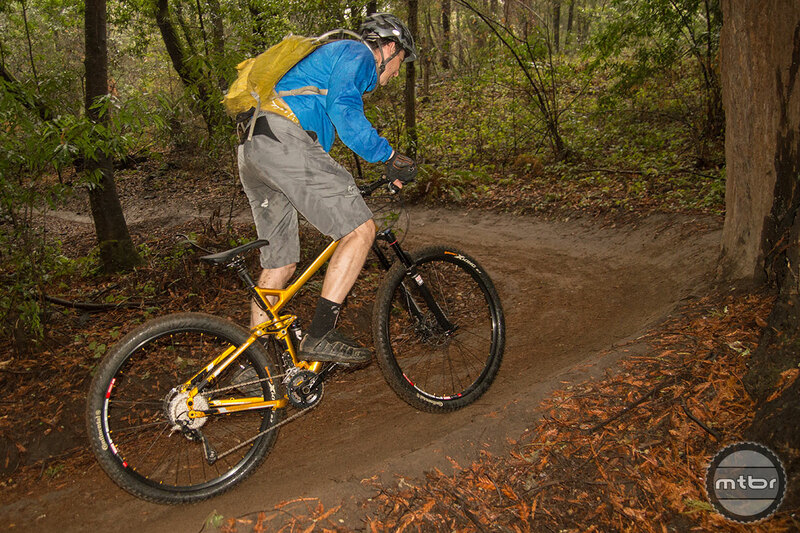 One, you can have a heck of a lot of fun on any quality mountain bike, and, two, what you do with your bike is far more important than merely possessing one, regardless of price. The Nine 20 is the top-of-the-line aluminum version of Felt’s 29-inch wheel Virtue model that uses the company’s proprietary Equilink suspension design to regulate its 130mm of rear travel. Felt developed Equilink in an attempt to isolate the active, working suspension from drivetrain and braking influences. To do this, the system employs an unusual bracing bar running from the lower to upper suspension linkage, directly behind the seat tube. This bar keeps the suspension from bobbing under power and prevents brake jack—the unwanted effect of suspension stiffening under braking—and pedal kick back, a similar malady when hitting a larger impact that can be felt through the pedals. Felt’s Equilink suspension system is unique and effective. On the trail this translated into a bike that ascended very efficiently despite the Virtue’s 31-pound weight. Pointed uphill, this bike resists bobbing as advertised, even when pedaling with the RockShox Monarch RT rear shock fully open. On long fire road climbs, the Virtue was so efficient, we preferred to leave the rear suspension open to save our backs for the long haul. 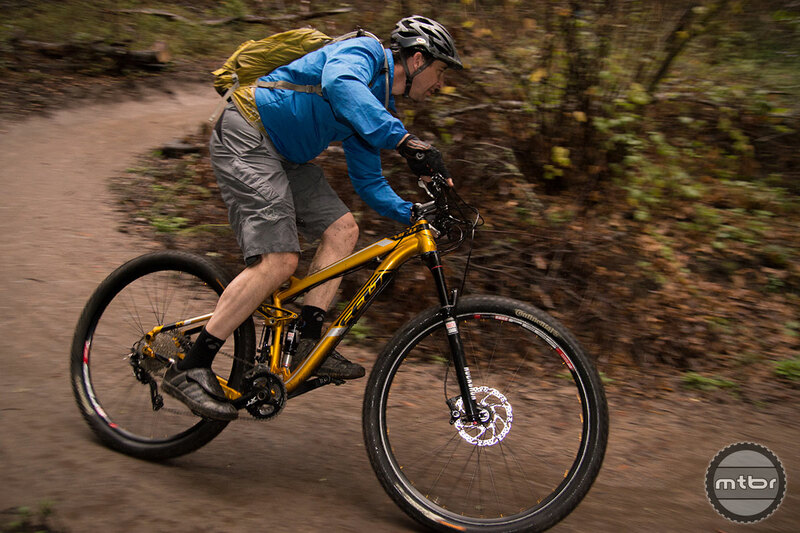 Like all the aluminum bikes in our test, the Felt Virtue Nine 20 is heavier than its higher priced carbon counterparts. But this alloy chassis carries its weight well and, paired with the efficient pedaling suspension design, climbs admirably. 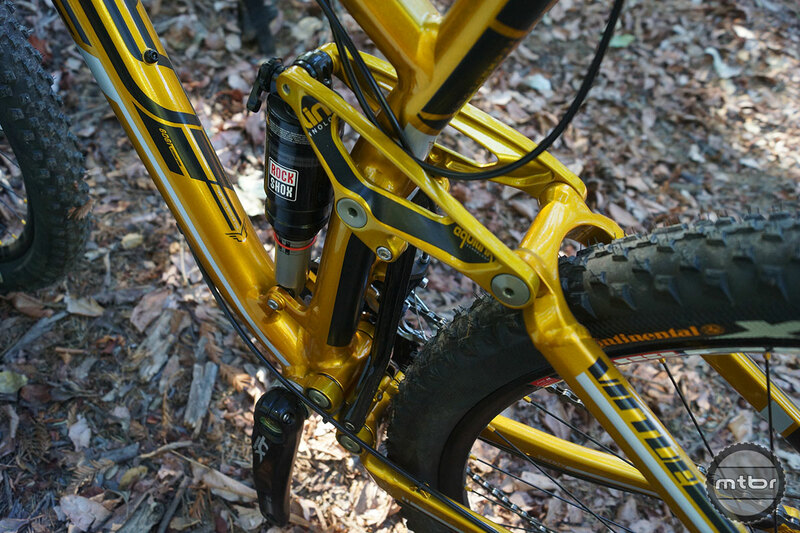 On steep, technical climbs, the Equilink suspension helps keep the rear tire planted when clawing up the rough stuff. On the downhills, we didn’t notice any brake jack or pedal kick back, so mission accomplished there. Like the 29er it is, the Virtue isn’t the fastest to accelerate, but once up to speed it has a noticeable “steamroller” effect and you may indeed find yourself going faster than you’re use to. Thankfully Felt spec’d a pair of Shimano’s dependable XT hydraulic disc brakes to keep things sane. More discomforting than speed, however, is the Virtue’s tendency to ride high in its travel, giving the bike a somewhat stilted feel. A check of the bottom bracket height showed 13.5-inches on the tape measure—right in the sweet spot for 29ers—but it didn’t seem to sag-in to that comforting between-the-wheels feel. It also contributed to the Felt’s less-than-plush descending feel. No matter how much sag we ran or how much we futzed with the compression and rebound adjustments, we couldn’t dial-in the downhill silkiness we were seeking. As such, the Virtue Nine 20 works better for straight-ahead bombing than finessing the rough stuff. Ryan B, I’m with you. Spot on. Love the reviews, love to dream but in reality, tomorrow I’ll be having a laugh and enjoying life on a bike half as much as this one and one fifth the Sworks Enduro…. With an MSRP of $3,799.00 I’d argue this falls into ‘mint’ territory. I agree with Ryan b. I’m new to mountain biking and want to do all the work on my bike. Would like to see more repair articles. Umm, $3800 hardly qualifies as “for the rider on a budget.” Time for the reviewers to come back down from the $10k+ bike cloud and join the rest of us mere mortals.